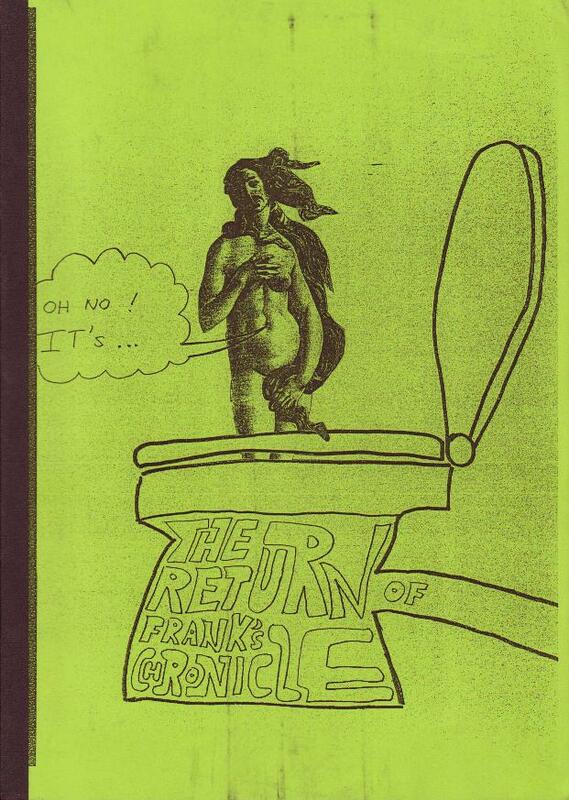 Frank's Chronicle was published by Bernd Kretzschmar in Karlsruhe, Germany at 1989-1992. 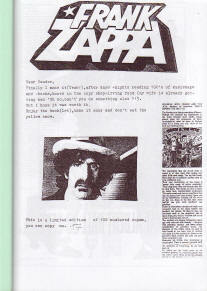 Four yearly issues in total, all limited editions of 100 numbered copies. The content is German/English scrapbook of clippings. 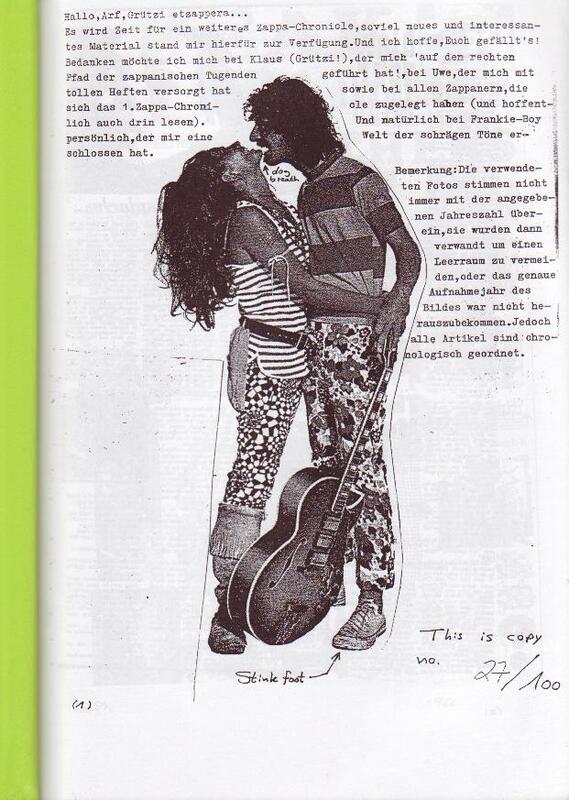 It is nice to see my "babies" again, as I didn't keep copies for myself. 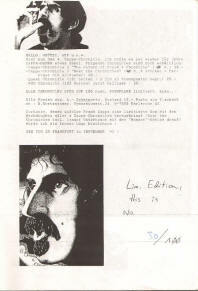 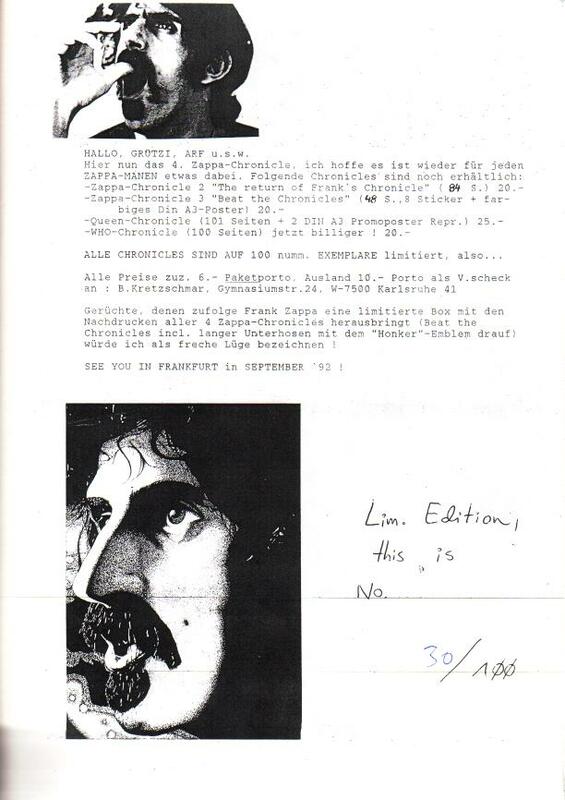 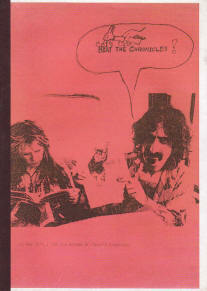 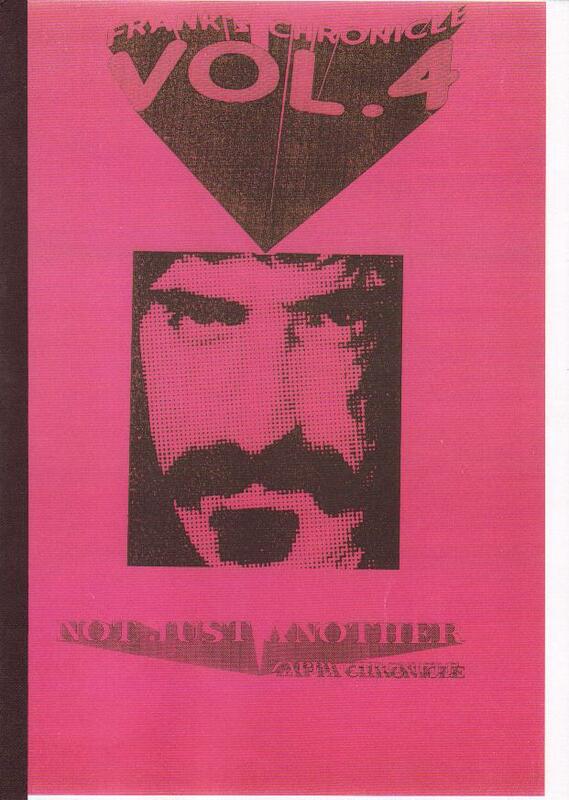 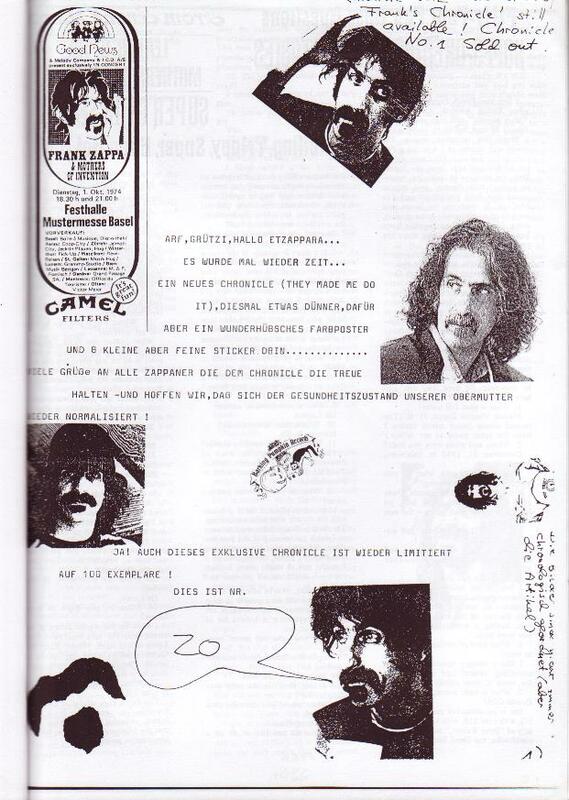 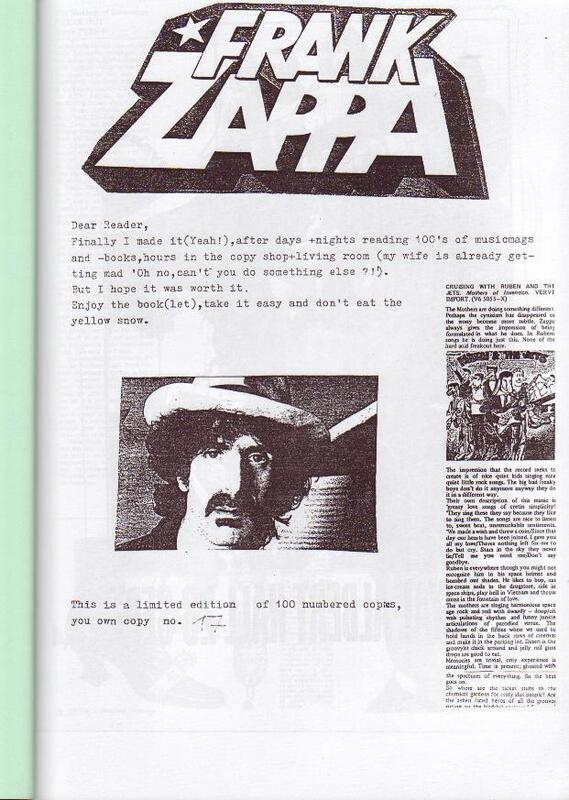 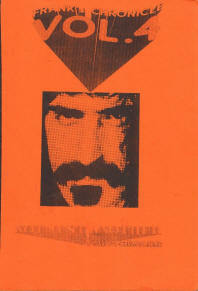 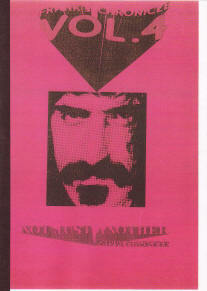 A little extra information: I made one special gimmick for a friend / Zappa collector of mine, issue no. 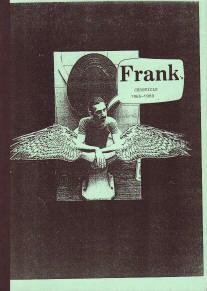 1, a special cover, you pull a rope and the wings start to flap. Originally I planned to make a few but it was such a big effort / time consuming, I only made one.